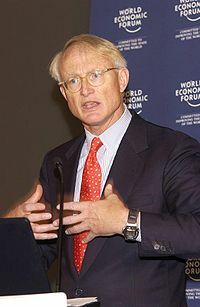 Why I read the book: I got interested in “Understanding Michael Porter” by Joan Magretta when I read following remark of Porter in an interview which is an excerpt from the book. Porter said, “I used to think that most strategy problems arose from limited or faulty data, or poor analysis of industry or competition. But the more I have worked in this field, I have come to appreciate that some of the most significant barriers [of designing & implementing a good strategy] come from the many hidden biases embedded in internal systems, organizational structures and decision-making processes.” I thought here is an opportunity to understand Porter’s view on what is beyond “analysis” part of strategy. After all, Porter is the most cited author in business and economics according to Wikipedia. So, there were two questions in mind while reading the book. One, “What is the essence of Porter’s work on business strategy?” and the second, “What does Porter say about – design of strategy as if implementation matter?” I felt that the book did a great job in answering the first question in a simple and concise manner. On the second question, the book mostly remains silent. Here are two things I liked most and one thing I found really surprising from the book. Let me begin with the things I liked. Competing to be the best vs unique: In 1999, Westin Hotels and Resorts introduced its branded “Heavenly Bed” after investing tens of millions of dollars in testing mattresses, pillows and bed linens. Rivals didn’t leave much time in jumping the bandwagon. Hilton introduced Serenity Bed, Marriott -Revive Collection, Hyatt – Hyatt Grant Bed etc. Soon it resulted in a bloody Bed War. The consumer was the winner. However, how much the hotel industry benefited is debatable. Porter says that “Competing to be the best” leads to competitive convergence. Over time, all rivals begin to look alike. A much better thing to do is “competing to be unique”. And how do you do it? Dual emphasis on value proposition and tailored value-chain: There are two sides to the strategy equation. One is what customers see different in you – the value proposition. The other, what you do differently in creating the value – the value chain. For example, for Southwest Airlines, the lowest cost is what its customers see and value. How does Southwest do it? By tailoring its value chain. For example, one of things it needs to minimize is gate turnaround time. That means draining the lavatories fast. To do this, it needs to hook up an equipment to service channels. This interfered with other activities. So Southwest got Boeing to reposition the service panel in new 737-300. That is tailoring the value chain – zooming in on the price and/or cost drivers and performing the activities differently or performing different activities to achieve the same goal. Underlying economic model: What is the right goal for strategy? According to Porter, it is Return on Invested Capital (ROIC). I am sure it is a great goal. However, that’s not how Mark Zuckerberg or Steve Jobs looked at it when they started their companies. They were passionate about doing something – building a PC or a social network and they did it. In laying out the framework, Porter emphasizes how “rigorously grounded the framework is in economic principles”. Ironically, he makes strong assumptions about how rational the decision maker “ought to be”. That makes the underlying economic model shaky as human decision making is subjected to systematic errors of judgment or biases. So I feel Porter’s framework is like a chair designed for ultra-smooth surface and then used on a wobbly surface. Overall, I enjoyed the book, found it useful and would strongly recommend it to anyone who wishes to get an overview of Porter’s work on business strategy. What's the right goal for strategy? Let me clarify a misunderstanding which my book apparently provoked. When I say that ROIC is the "right goal," I'm referring to how you measure the success of a strategy after the fact. That's what Porter is talking about. He very usefully distinguishes between the "right" measure of success and the many "wrong" and misleading measures that are commonly used--market share, size, growth, etc. Of course you are right to say that this does not capture what entrepreneurs are trying to do as they build their businesses. They're focused on making the business work for their customers. So to be clear, what Porter says is that ROIC is the measure that tells you whether you have actually succeeded in creating long term value. Many successful businesses have been created by trial and error, not by rational analytic foresight. But that doesn't mean that you can't look at them after the fact and discern the elements that define a successful strategy. Appreciate your clarification, Joan. It helps. You have done a fantastic job in distilling Porter's work and made it more accessible to people like me.